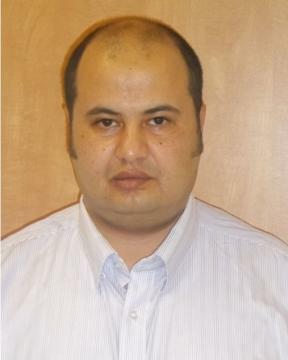 Dr. Raed Abu-Reziq completed his doctorate at the Hebrew University in catalysis and sol-gel chemistry. After receiving his Ph.D. degree in 2004, he moved to Ottawa University, Canada, for a postdoctoral research under the supervision of Prof. Howard Alper, in the field of nanocatalysis. In 2006 he joined the company Sol-Gel Technologies as a Senior Researcher and spent two years in developing micro and nano-encapsulation systems based on sol-gel process as drug delivery systems. In 2008, Dr. Abu-Reziq was appointed a Senior Lecturer at Casali Institute for Applied Chemistry and Institute of Chemistry. His research focuses on nanocatalysis, green chemistry and developing micro and nanoencapsulation methods. His research group includes two senior researchers, one Ph.D. student and 6 M.Sc. students. Currently, Dr. Abu-Reziq is managing a large project in collaboration with the American industry for the microencapsulation of agrochemicals. Recently, He filed two patents on methods for reduction volatility and toxicity of agricultural actives.